The ofrenda at Tacos Mariachi honors social justice activists and community members who loved West Dallas and spent their life on earth fighting for it. 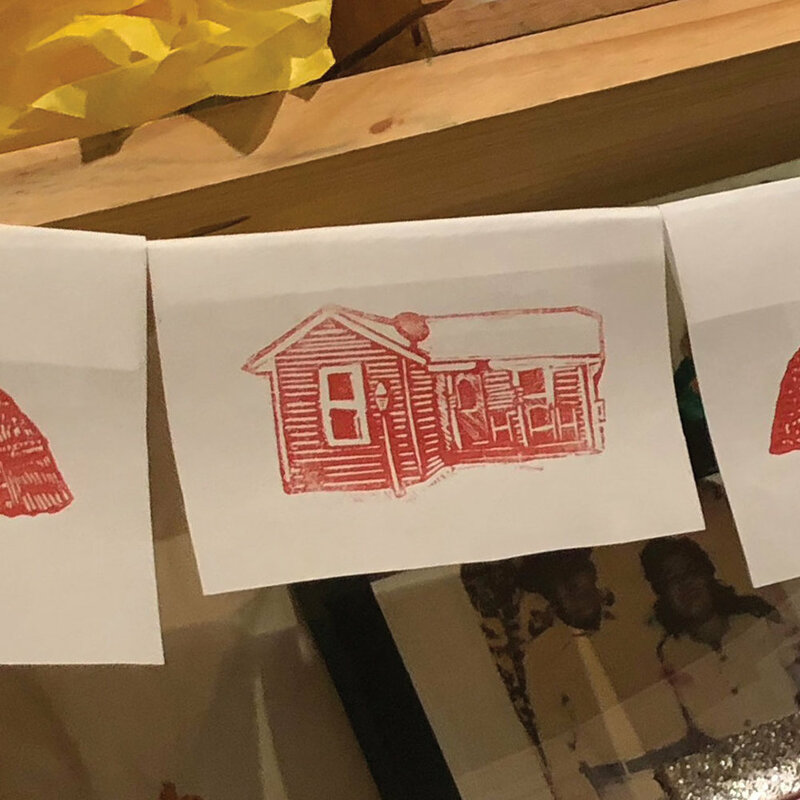 As a sacred space of reflection, you're invited to reflect on the life of Felix Lozada and Rosa Lopez, both activists for displaced residents. During The Great Depression, Trinity River Bottom resident T-Bone Walker became famous for his song "Trinity River Blues" in 1929, which was the earliest song about the environmental impacts of people of color living along the floodplain and described his clothes being washed away by the flooding Trinity River. 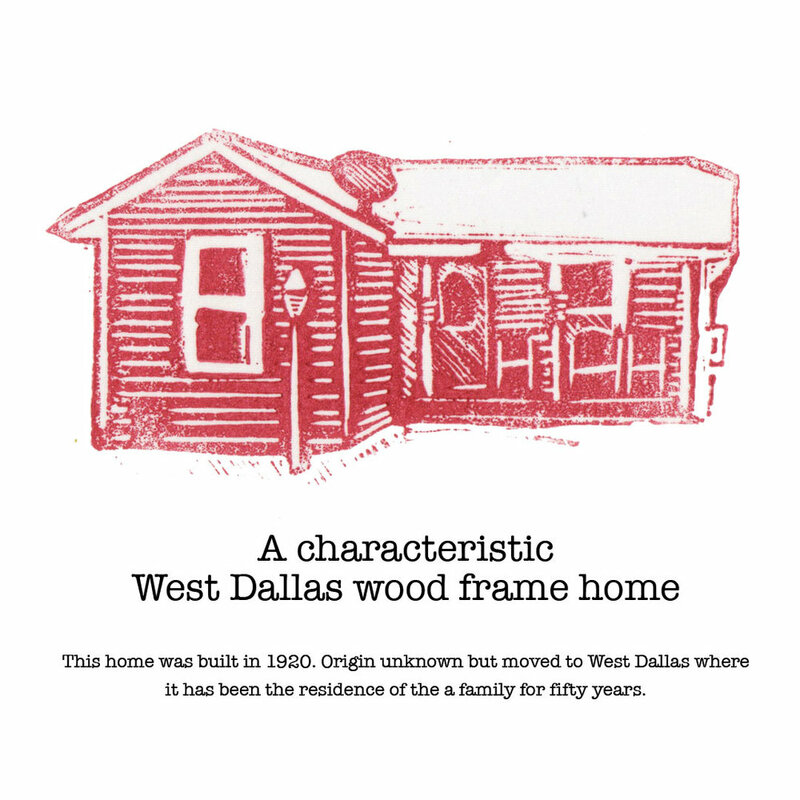 An essential part of the land known as West Dallas is the recognition that the Trinity was home to Caddo and Wichita tribes before General Edward H. Tarrant launched his campaign of removal in the 1840s. 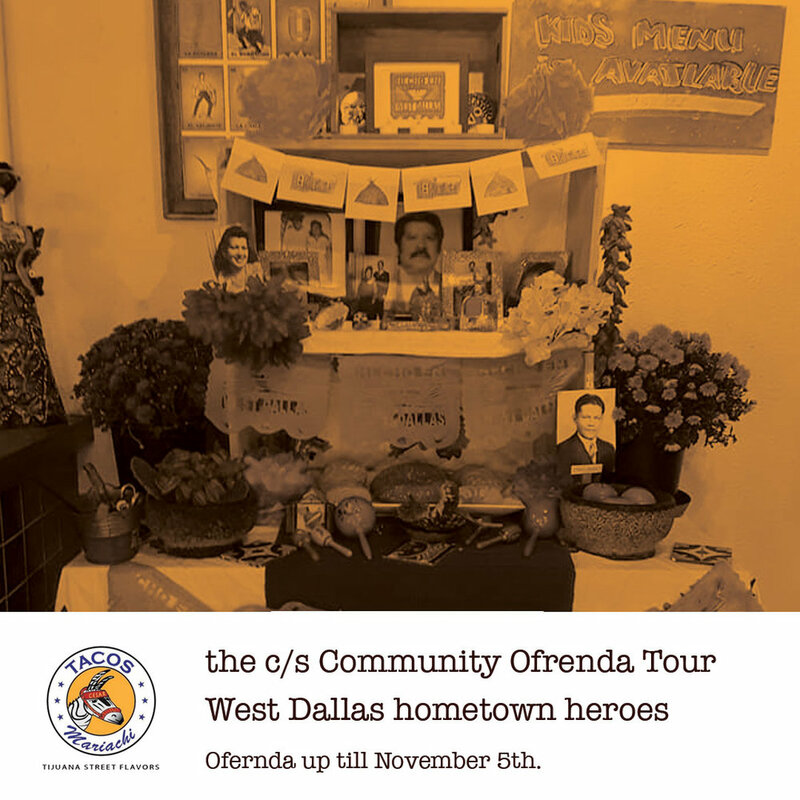 This ofrenda makes a space for the hometown heroes and the complicated history of Dallas. What is our responsibility for the history of a place? 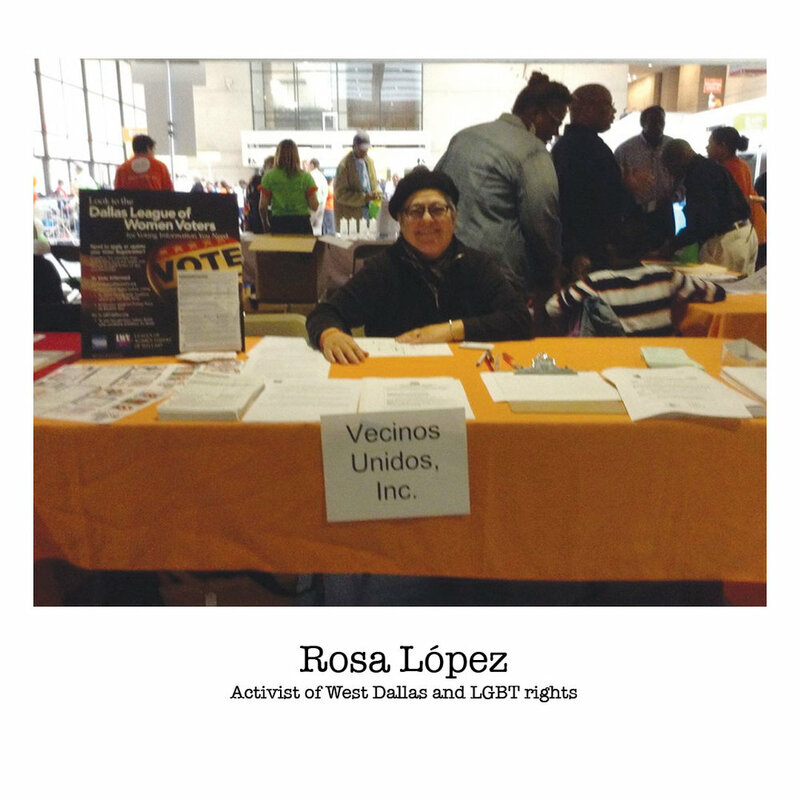 Rosa E. Lopez devoted her adult life to advocating for affordable housing and its tenants. In 1993 she founded Vecinos Unidos Inc. and Lesbian Latinas De Dallas. Lopez served on several boards of directors, including the North Texas Community Development Association, the Dallas Affordable Housing Coalition (now called the North Texas Housing Coalition) and the West Dallas Chamber of Commerce. 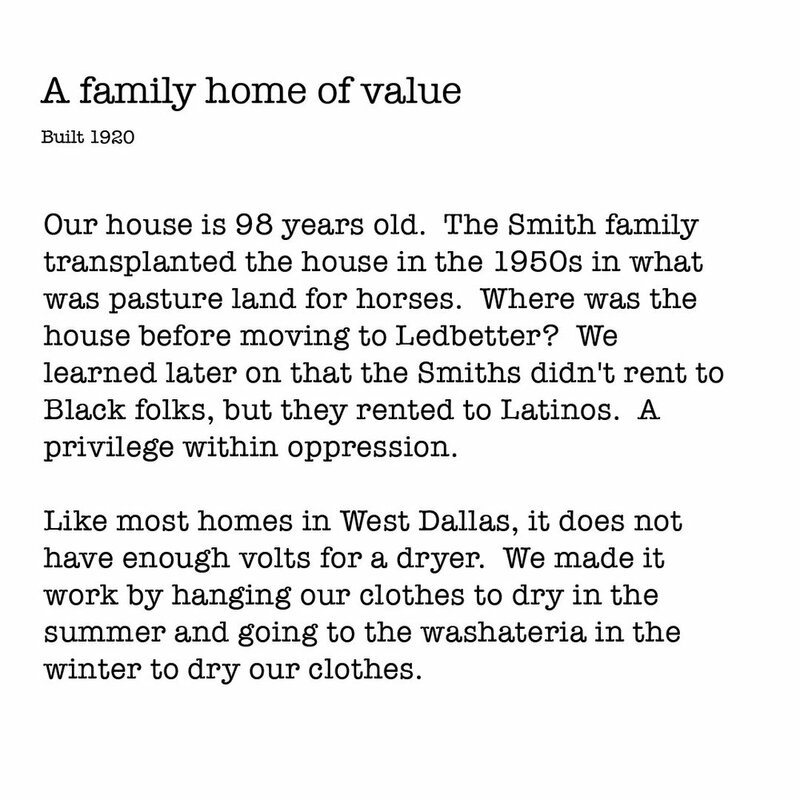 West Dallas activist and World War II veteran. Lozada, the son of Mexican immigrants, served in the U.S. Navy in World War II. He worked as a barber and a baker but was best known for persistent battles on behalf of West Dallas residents. 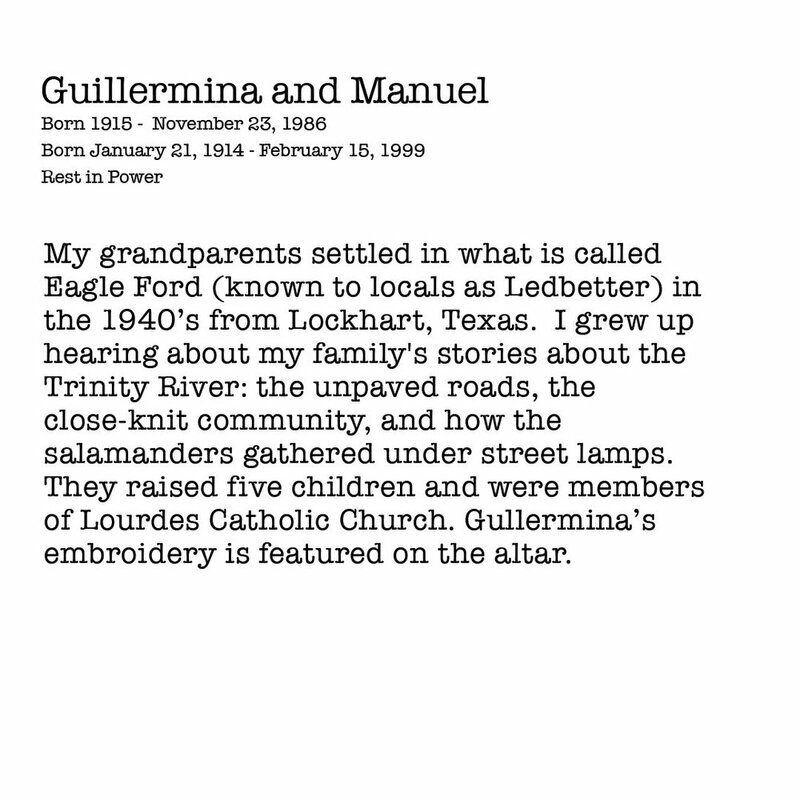 He and his first wife, Guadalupe Marceleno Lozada, fought against the high infant mortality rates in West Dallas by implementing a mobile medical clinic, which eventually became Los Barrios Unidos Community Clinic on Singleton Boulevard. 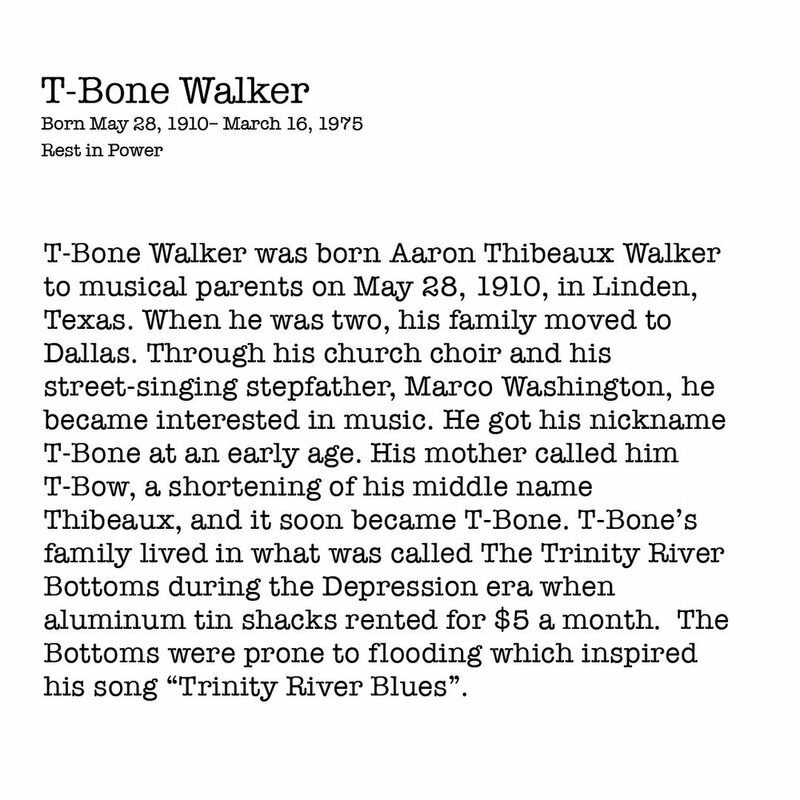 T-Bone Walker was born Aaron Thibeaux Walker to musical parents on May 28, 1910, in Linden, Texas. When he was two, his family moved to Dallas. Through his church choir and his street-singing stepfather, Marco Washington, he became interested in music. He got his nickname T-Bone at an early age. His mother called him T-Bow, a shortening of his middle name Thibeaux, and it soon became T-Bone. T-Bone’s family lived in what was called The Trinity River Bottoms during the Depression era when aluminum tin shacks rented for $5 a month. The Bottoms were prone to flooding which inspired his song “Trinity River Blues”.